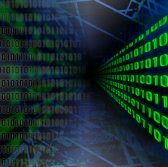 The Department of Health and Human Services‘ Office of the Inspector General has asked industry to provide information on current analytics technology products designed to manage large amounts of data from structured and unstructured sources. A FedBizOpps notice published Tuesday says HHS OIG looks to help staff members explore, analyze information with the use of technology and use data to make decisions. The office wants a cloud-ready enterprise system that works to process multiple structured and unstructured datasets as well as categorize and oversee relationships between datasets. HHS OIG seeks a platform that is also equipped with query, filter, data visualization and machine learning tools, according to the notice. Interested parties can respond to the RFI until Nov. 29.